The following pictures illustrate the different levels of quilting that are available to you. Each level is priced differently. As always, I'm open to your ideas and suggestions of what you would like for your special quilt. To see the pricing of each level, go here. 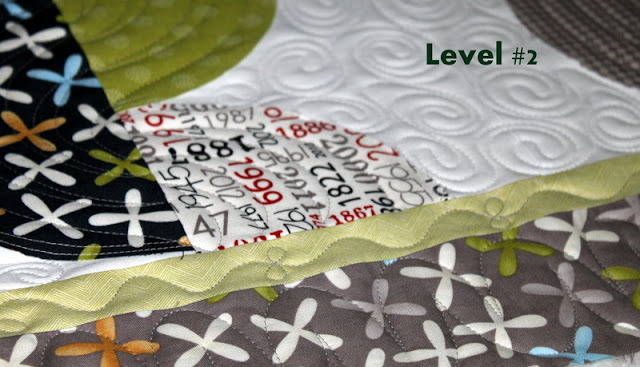 Let's start with Level 1 (.0175) quilting. This level is a basic all over design from edge to edge. You will see stippling, meandering, loops etc. Adds a few more design choices. The pattern is still repetitive but will be different in the borders or smaller areas. The above quilt is Allison's from Cluck Cluck Sew - "Touchdown"
Above design has pebble, swirls, stippling - more than 3 elements. These last 3 quilts are a level #2 because it's a very time consuming design. Sometimes there might be another element in the quilt that needs a little extra quilting and it's a different pattern in the borders bumping the level up a notch or two, but not quite a Level 3. This level is for straight line work and use of rulers. 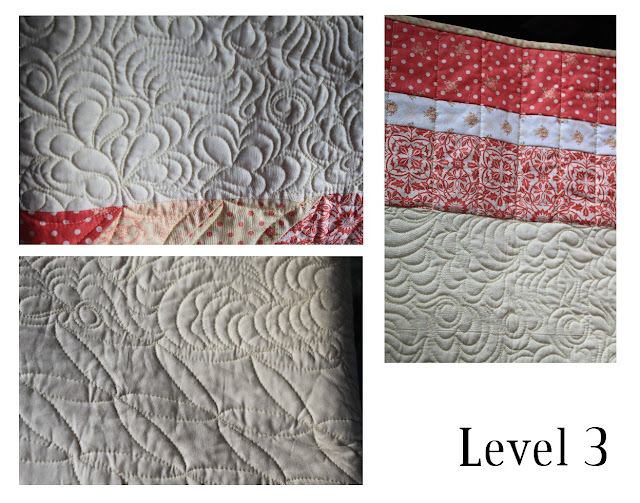 Quilts with several borders and different patterns in each will be a level 3. Above is Anne's quilt - 1" cross-hatch and a flower medallion combination. Above and below are examples of some "modern" quilting designs on Denise's quilt. Also check my FAQ page for other options. Kathy, Your work is gorgeous! I am so impressed! Ahhh - thank you, my friend. I truly LOVE what I do! 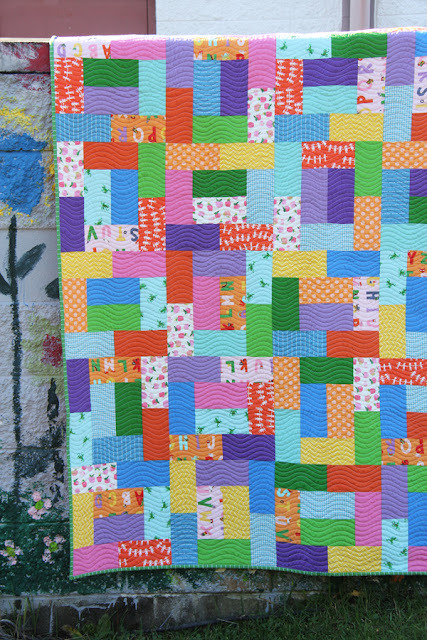 Your quilting is beautiful and very inspirational. Thank you for sharing. These illustrations are so helpful! Thanks! Kathy- You are my quilting HERO!! Adore the work you did on my quilt- so so beautiful!!! You, my friend, are so fun to quilt for! LOVE your quilt - thank YOU! I am overjoyed today ... I just received my quilts from Kathy and the quilting is absolutely beautiful. She is so talented and so creative. They really are exquisite. I highly, highly recommend Kathy! Thank YOU! I am not really sure where that "a8c8ed26 ..." etc address came from but's it's me, Anitra, that is overjoyed by your work! thank you, Anitra. You are so complimentary - I loved working on your quilts! Great! By the way, if you'd like to read more about ways you can improve the quality of using your email account, click on the link now! Beautiful work. Hope to personally enjoy it on one of my future projects.